Good morning from Iceland! We woke up early in the morning, a while before the sunrise. To be honest, that night I slept on one of the best beds I’ve ever slept in my entire life. So, when I woke up the only thing I could think about was returning to bed and continue sleeping. I immediately changed my mind once we were on the road again, heading to our first destination of the well kown Golden Circle: Þingvellir. I remember that when we were on the road, it started to snow a little bit, and I was super happy to see the snow. 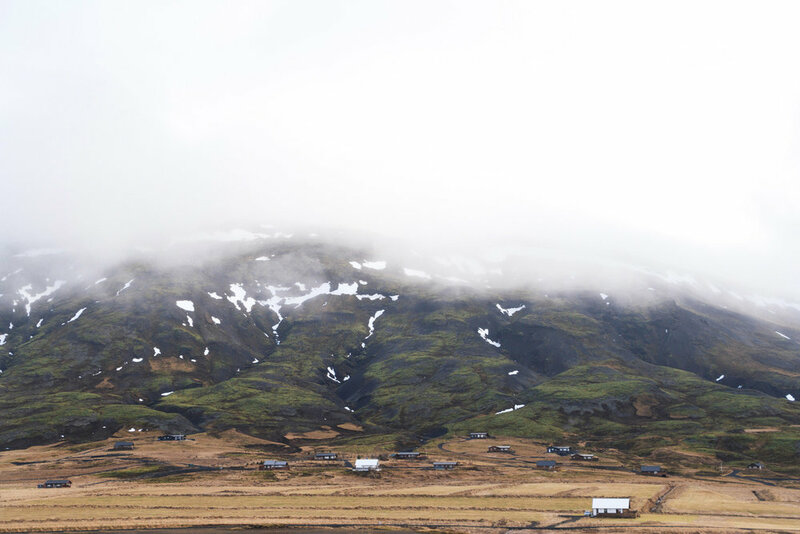 The weather forecast only showed clouds, and I’ve always wanted to visit Iceland covered in snow. I was worried because on our first day in Iceland, we didn’t see any snow. Well, if you continue reading this blog, you’ll find out that finally we saw tons and tons of snow. When we were arriving to Þingvellir, we saw a frozen lake, so we stopped there to walk on the ice and take some pictures. This was the first time I walked on a frozen lake, and it was a great experience! Once we entered into the National Park, we were interested in visiting the Öxarárfoss waterfall. It was raining a bit, but we started walking inside the park searching the wall of water. When we arrived, we noticed that there was a car park just in a few metres next to the waterfall. It would have been easier if we had chosen the correct entrance. We stayed a bit at Þingvellir and then we headed south to visit Kerið. We drove through a different road than the one we planned, to see a variation of the landscape. I remember that we stopped many times during this short journey, that we arrived to the crater much later than we expected. I would have loved to see the crater covered with snow, but the weather during the previous weeks was not cold enough. But anyway, I loved the views! Walking on a crater was an amazing moment! As the afternoon approached, it was time to return to Reykjanes, our beloved peninsula. We bought tickets for the Blue Lagoon, and we couldn't be more excited about that. We entered the Lagoon at approximately 18:00. We were relaxed for hours enjoying the warm water and the facilities of the Blue Lagoon. I found the contrast of the blue water with the fog and steam really exciting. So, although it was hard to get out of the water, I could not resist the urge to take pictures with my cameras. Time passed very quickly and without realizing it, it was completely dark. We spent hours and hours inside the water, but we wanted to remain there. We thought there would be a chance to see the Northern Lights from the water, but the sky was covered with clouds. We were not disappointed either. We still had many nights in this country and with a bit of luck, we could still spot them. So, do you think we saw them?